A suspected one-chance gang member identified as Junior on Monday jumped into the lagoon on Third mainland Bridge, Lagos. Junior, according to other members of his gang, jumped into the lagoon around 1pm with their loot to evade arrest. 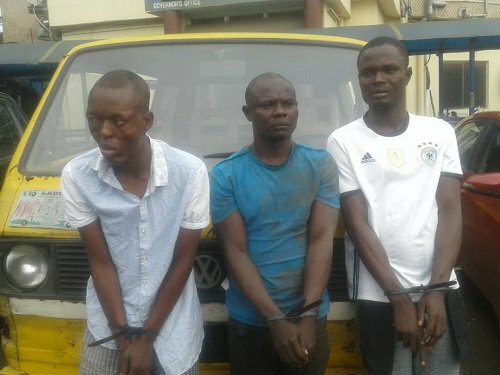 It was gathered that the group comprising Junior, Amos Williams, 21, Paul Olise, 37 and John Akinyemi had robbed four passengers they boarded around Ketu/Alepere enroute Oshodi. Rather than drop the passengers at Oshodi, the Vanagon Bus with registration number AKD562XP, sped towards Iyana Oworo and continued on the long bridge where the robbers pushed out each victim after dispossessing them. It was gathered that a victim, Semiu Oluwaseun they first pushed off the bus was rescued by a motorist who saw him fall. After narrating his ordeal, the motorist, it was gathered, gave the bus a hot pursuit but slowed after sighting operatives of the Rapid Response Squad (RRS) on the long bridge. “The victim reported what happened to the RRS men and they chased the bus, double-crossed it. But before they got to the bus, it seems the suspects noticed they were being followed. “Junior jumped off the vehicle. He was hit twice by oncoming vehicles and he jumped into the lagoon straight away. The other three were arrested,” said a source. 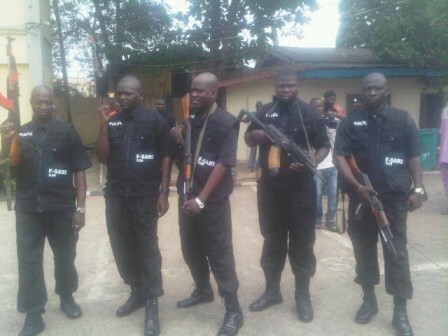 Semiu, it was gathered, told the police the robbers took his N500,000 and mobile phones. Corroborating the account, the gang leader, Akinyemi said: “We were four. I was in charge of calling the team to work. It was our first trip for the day. We took four passengers in Estate Bus Stop in Alapere. “They were going to Oshodi. We dispossessed them and dropped them off before Iyana-Oworo one after the other. We took their phones and money. 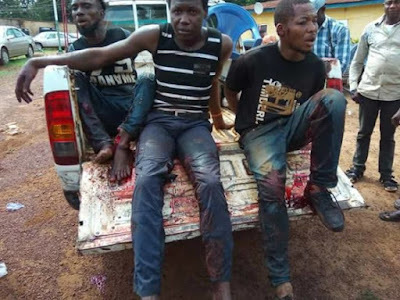 Another victim, Jamiu Ojuroye, who was robbed on Sunday, identified John Akinyemi as the driver of the bus he was robbed in, adding that they collected his N150,000. Ojuroye added that after struggling with the robbers, they poured a peppery substance on his face, took his money before throwing him off around 8pm, said the police. Parading the suspects Wednesday, Police Commissioner Imohimi Edgal said: “A police patrol team stationed on the Third Mainland Bridge attached to RRS of the command on Pin-Down duty, received information that robbers were robbing passengers along the Third Mainland Bridge. Democracy Day – 19 Years After: So Far, How Far? 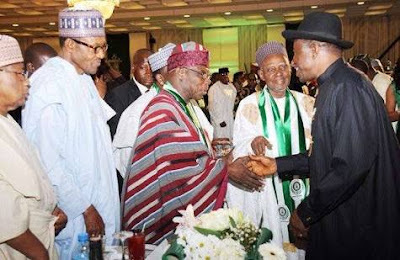 APC Loves Corruption: OBJ Group, Others Knock Party Over N45m Forms For BuhariPresidency Replies Atiku For Saying Buhari Is "Power-Drunk"